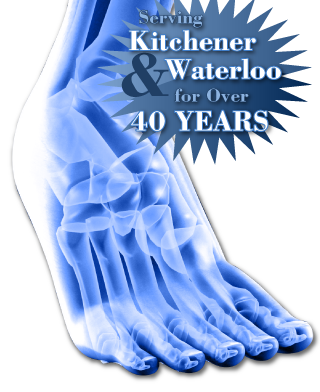 Podiatric Consultants is a practice of Doctors of Podiatric Medicine: our Podiatrists have served Kitchener-Waterloo's foot care needs for more than 40 years. 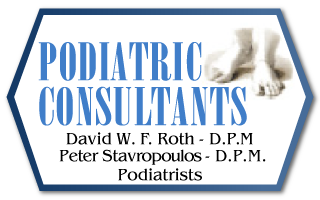 A podiatrist (D.P.M., Doctor of Podiatric Medicine) is trained to diagnose and treat conditions affecting the foot and related structures. To become a podiatrist requires an undergraduate university degree followed by a four-year program at a college of podiatric medicine, which covers areas of study such as surgery, sports medicine, geriatrics, paediatrics, orthopedics, dermatology and primary care.